I can't believe that 2017 is about to come to a close! I have lots of exiting sewing projects planned for 2018 (including an anorak and some jeans) but for now I'm going back in time again. In my last post I did a 'sew-down' of the year which looked into other categories, but there were just too many favourite makes to choose just one! I've managed to narrow it down to my top five favourite makes of 2017. I love this top so much and have worn it a lot since I made it. The fabric is really special and there is a surprise in the form of a contrast zip in the back too, which I adore! 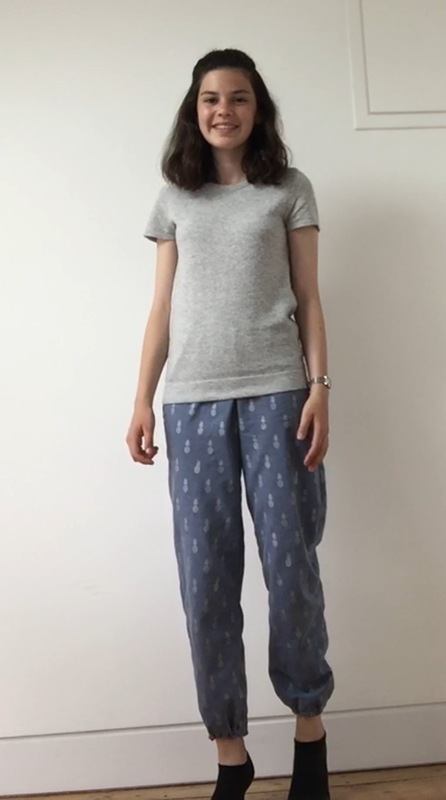 It was also a test to see if I could draft my own pattern, so I'm proud of it too. Have you noticed the mustard and navy trend over the past year yet?! I don't think I'll be stopping it for 2018! This is my first Linden (I have subsequently made many more) and although I haven't been able to wear it in the recent months, it's still a firm favourite. I love the colour, the fit and the style and it's a pattern that I will continue to use again and again. I absolutely had to include these! This is one of my favourite fabrics, and making these trousers was quite a spur of the moment decision, I had no idea I would wear them so much. I absolutely love these, and look forward to getting them out again in the spring! I've talked about this a lot, but I just love it! It's comfy, its elegant and it's stripy. What could be better in a dress?! I've worn this so many times already despite having made it just a few months ago, and I'm hoping it will work well in Spring/Summer too. It was had to choose just five makes, but this skirt also had to make it on because I'm really proud of it. 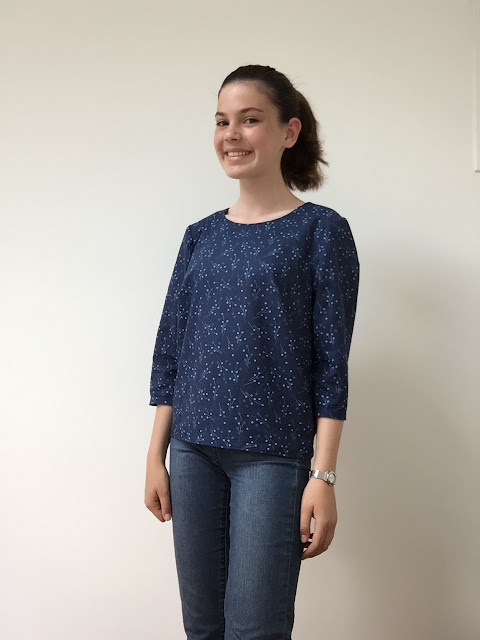 It's a self drafted pattern, but the best part is that it used to be a pair of jeans! 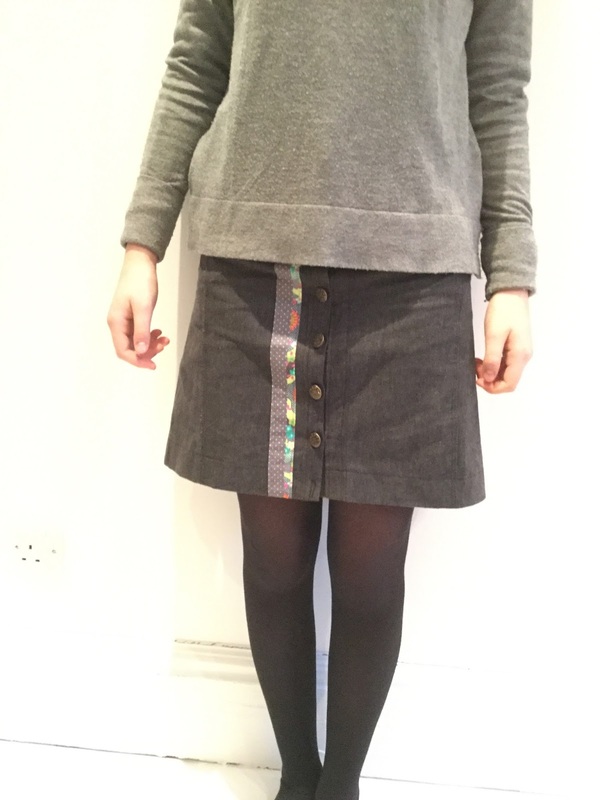 The brass buttons and contrast fabric just finish it off perfectly for me, making this skirt another favourite. Thank you so much to every one who has followed this blog throughout the year. I've enjoyed writing it very much and I'm looking forward to another year of sewing! Happy New Year. These are all fantastic makes for the year! I'm excited for you to try your hand at jeans. They are really a lot of fun to make. They take time, but one of my favorite things about them is the top stitching. Some great makes here. 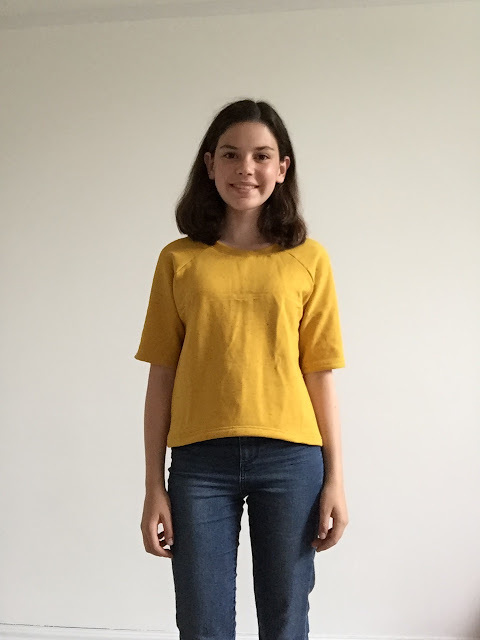 My favourite of yours is the mustard Linden (I made quite a few myself last year and I wear them all the time too!). It's fab that you have been drafting your own patterns too. 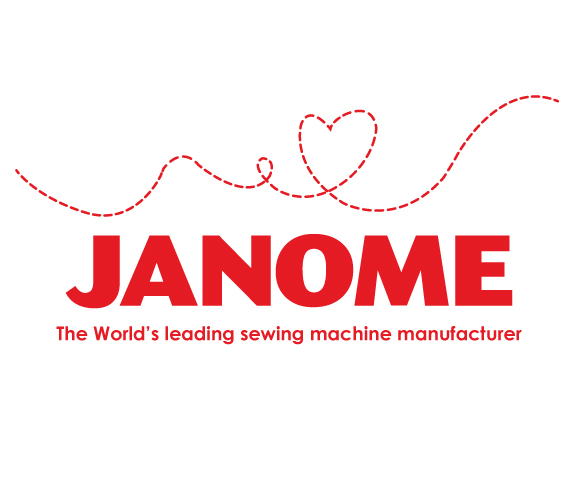 Looks like 2018 will be a great year for learning new things - I'm looking forward to reading about your adventures into jeans making. You had a productive year. I look forward to seeing your anorak jacket. It's quite a popular pattern. Happy new year and best wishes for a prosperous 2018! 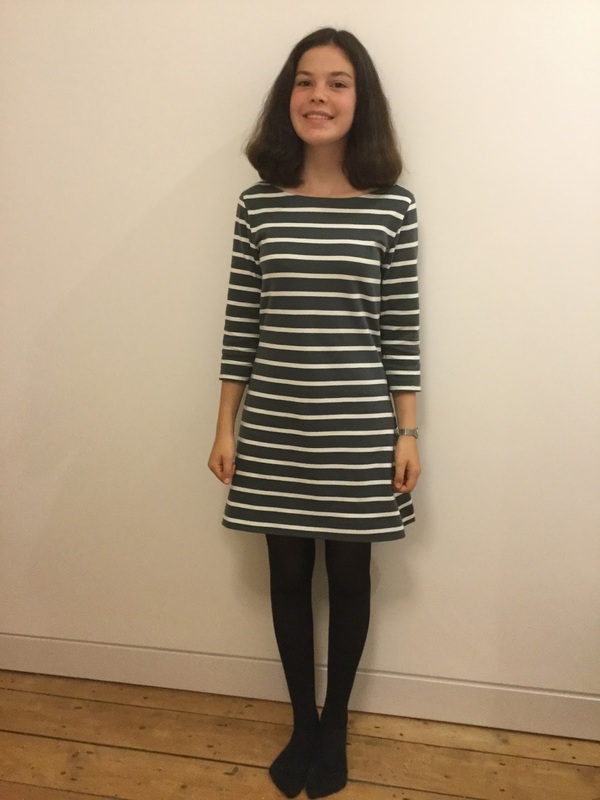 I love all of the garments you have made and kudos to you for diving into pattern drafting!